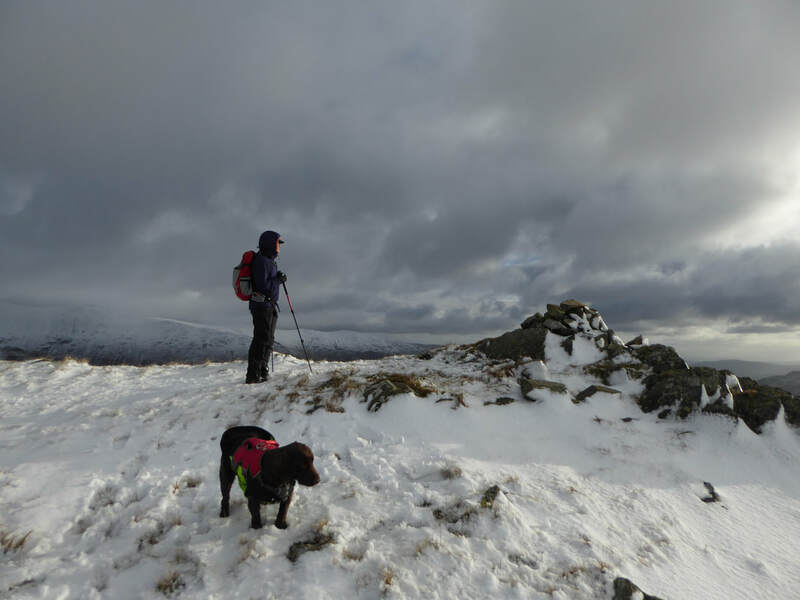 Mountain paths & ridge walking. 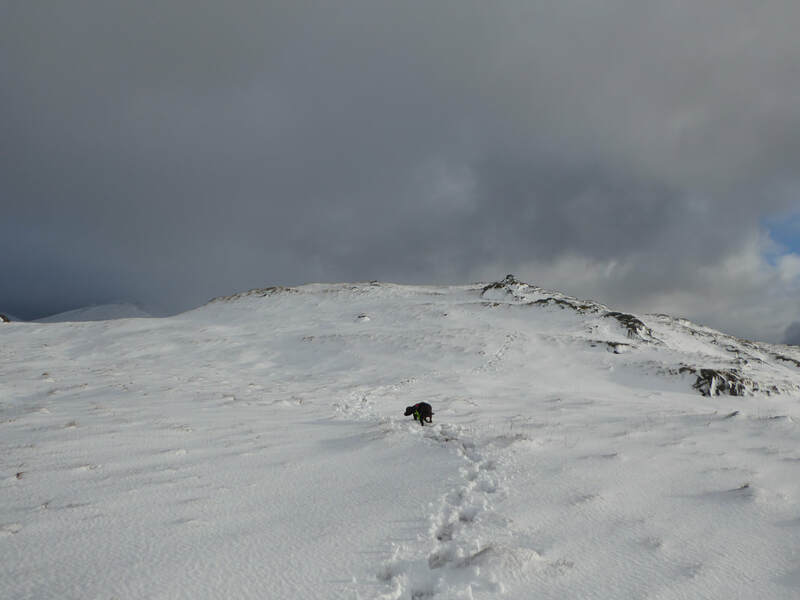 Paths were mostly hidden under several inches of snow. 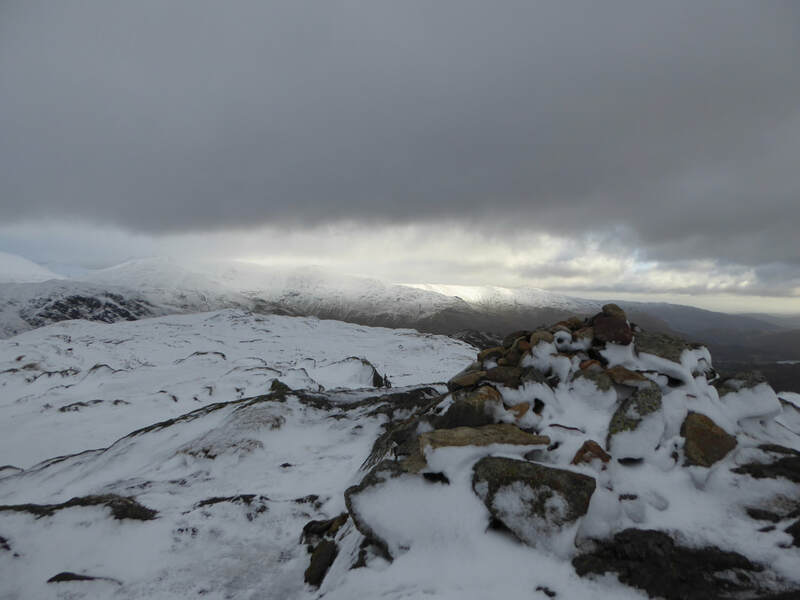 There were several sections containing compacted snow which necessitated taking care descending rocky paths. 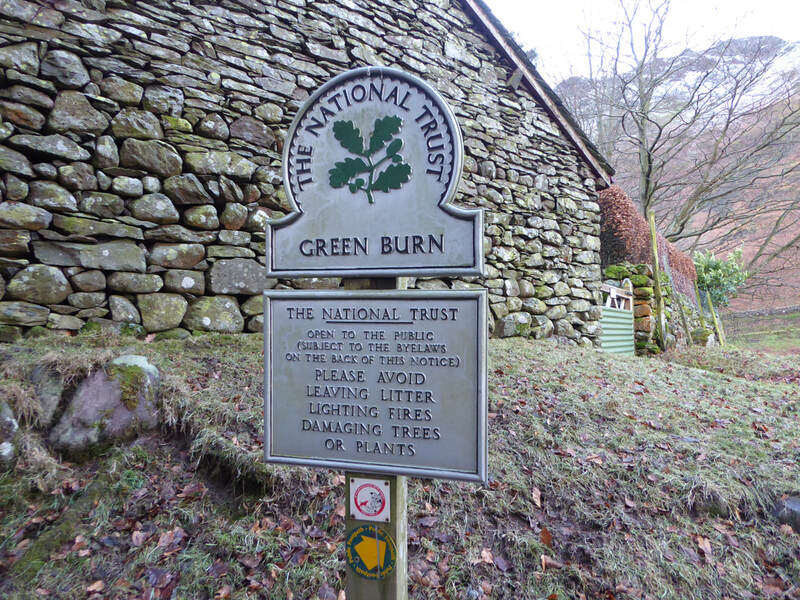 The Greenburn Round is a walk in The Central Fells of the Lake District and encircles the valley of the same name. 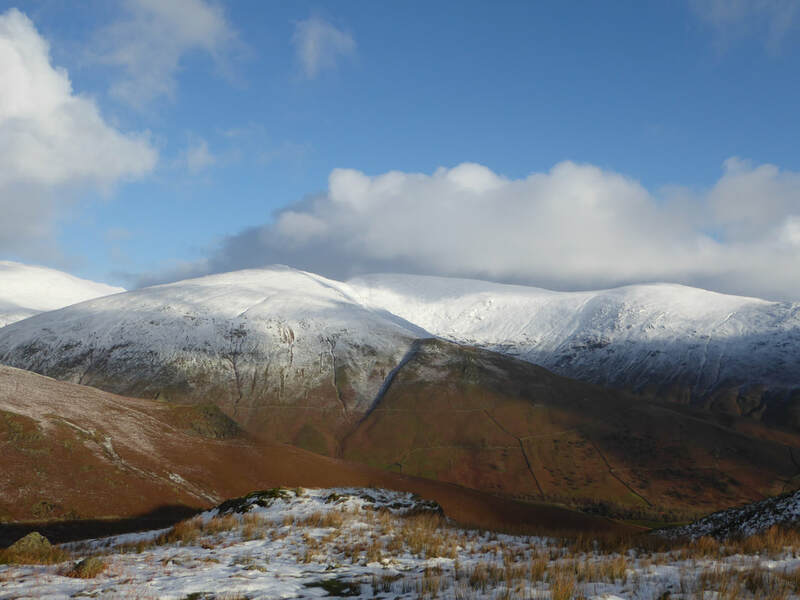 Greenburn is a classic example of a U shaped trough, formed by the process of glaciation during the last ice age. 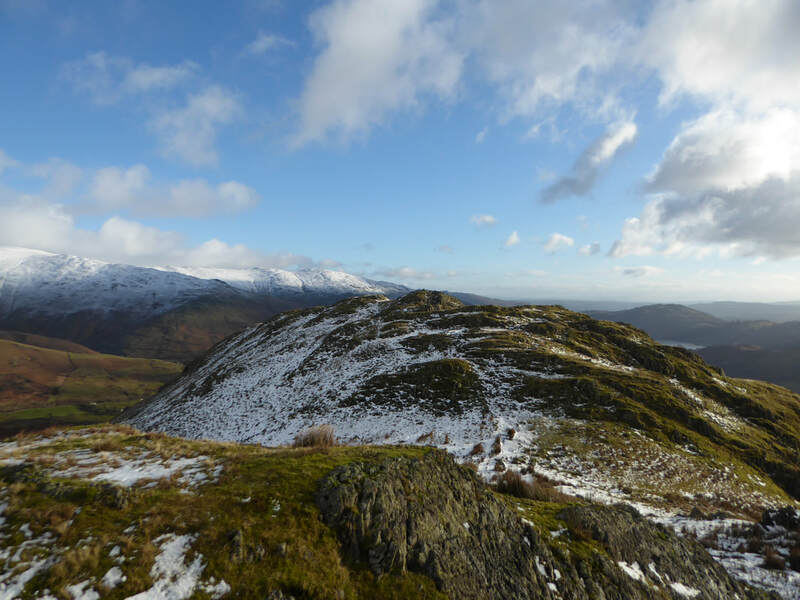 The walk itself is generally started from the village of Grasmere and takes in the peaks of Steel Fell, Calf Crag, Gibson Knott & Helm Crag. 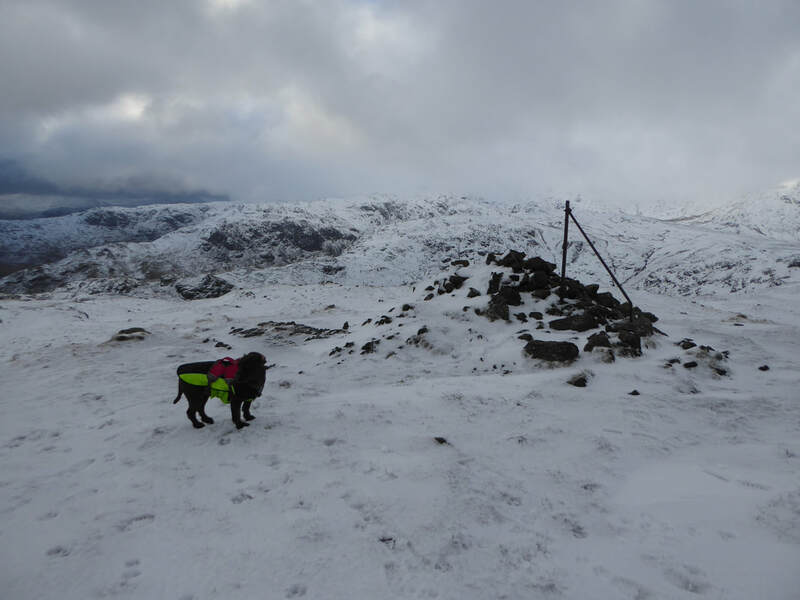 It is a delightful round and today would see it with its snowy overcoat on and whilst the valley floor was devoid of the white stuff, there was still plenty about up top. 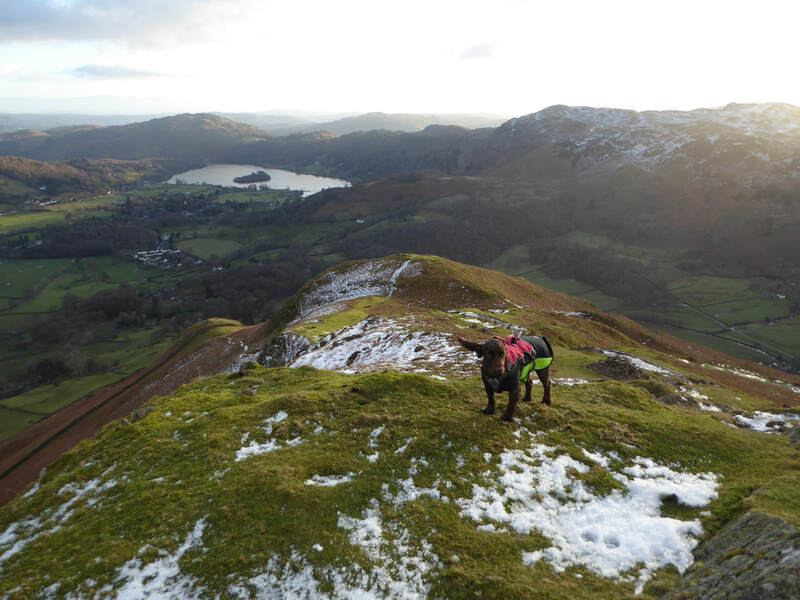 With Angie on the South Coast, Fudge & I drove over to Grasmere to meet up with a few people from Lakeland Meet Ups - the weather was promising for the afternoon by which time we should be up on the ridge and therefore able to enjoy the superb views on offer. From the lay-by on the A591 the route heads north to reach Mill Bridge, crossing over the road and taking the lane towards Ghyll Foot and Helmside where a gate leads into Greenburn and the open fell side. 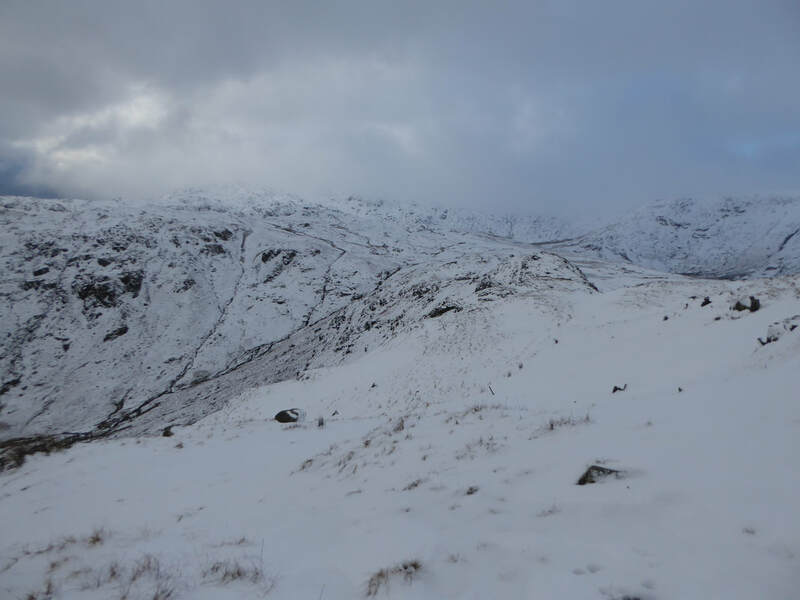 The climb to Steel Fell begins with a gentle gradient before steepening below Cotra Breast where there are two short, sharp pulls to reach the summit. 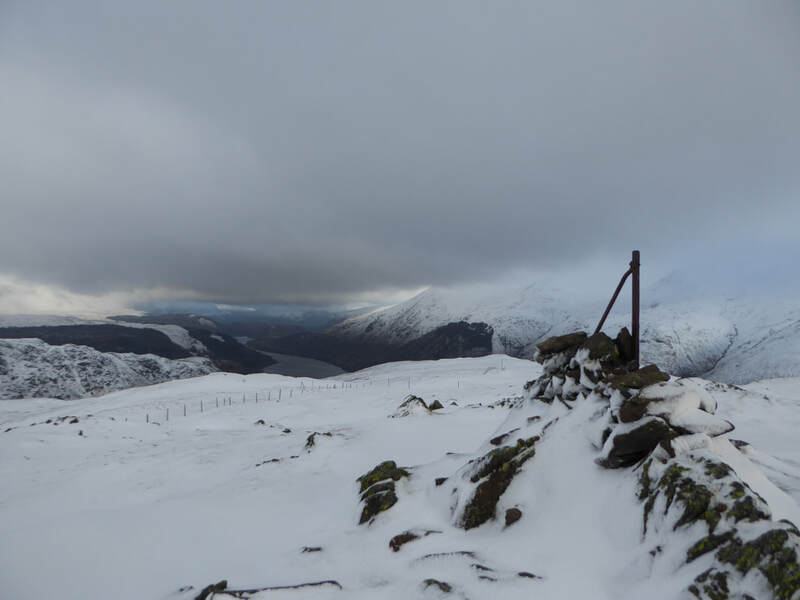 From the east cairn Thirlmere can be seen to the north and there are impressive views over to the Helvellyn range, the Fairfield Horseshoe & Seat Sandal. 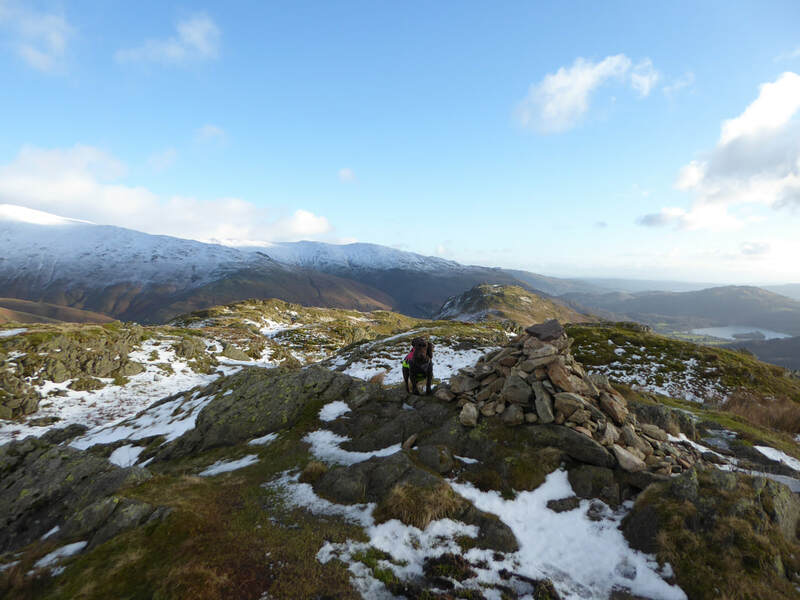 Passing the summit west cairn there is now a long, sweeping transit above Shoots to reach a boggy area below Calf Crag leaving a short rise to gain the summit cairn. Up until now the weather had been pretty dull although the visibility remained good. 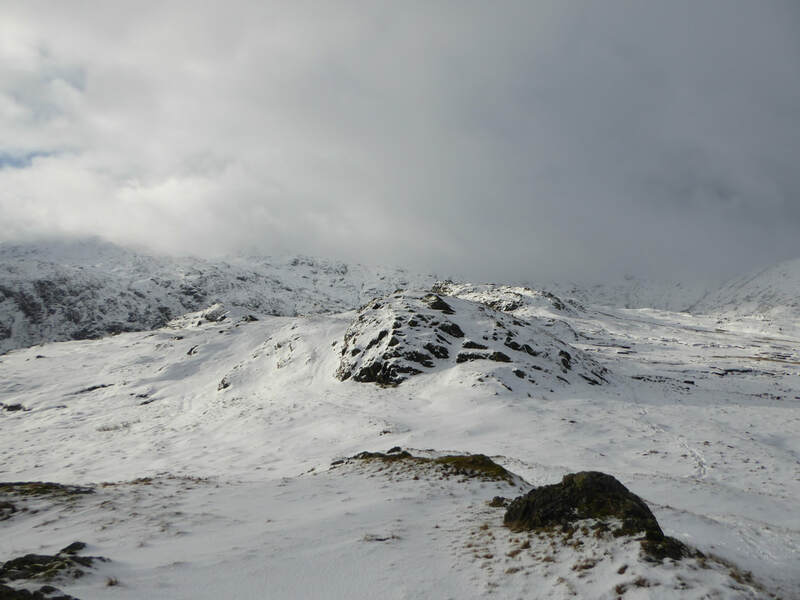 Arriving at Pike of Carrs I felt as though the weather was improving and subsequently the cloud began to clear - so much so that the view along the ridge to Gibson Knott was now against a backdrop of blue sky. 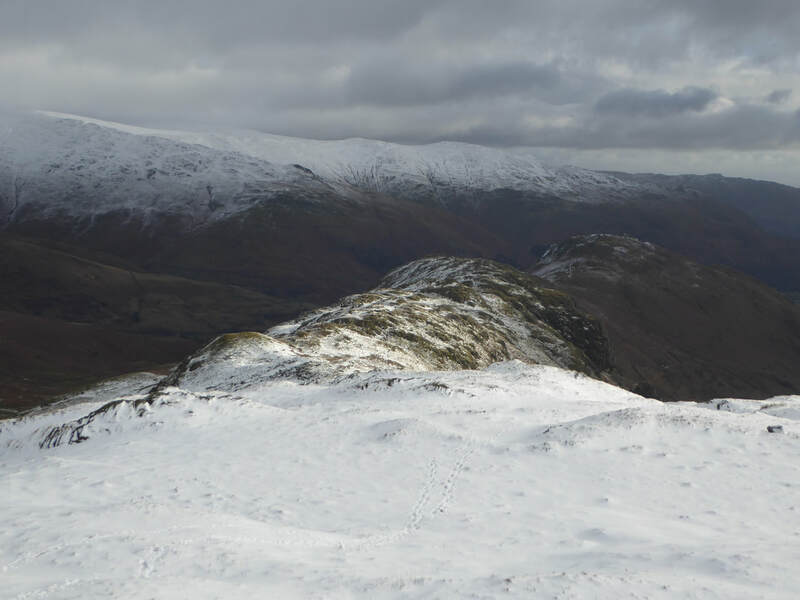 The ridge from Calf Crag to Helm Crag is an absolute pleasure and rises and falls often as it makes its way towards Grasmere with Greenburn sitting below to the left and Far Easedale to the right. 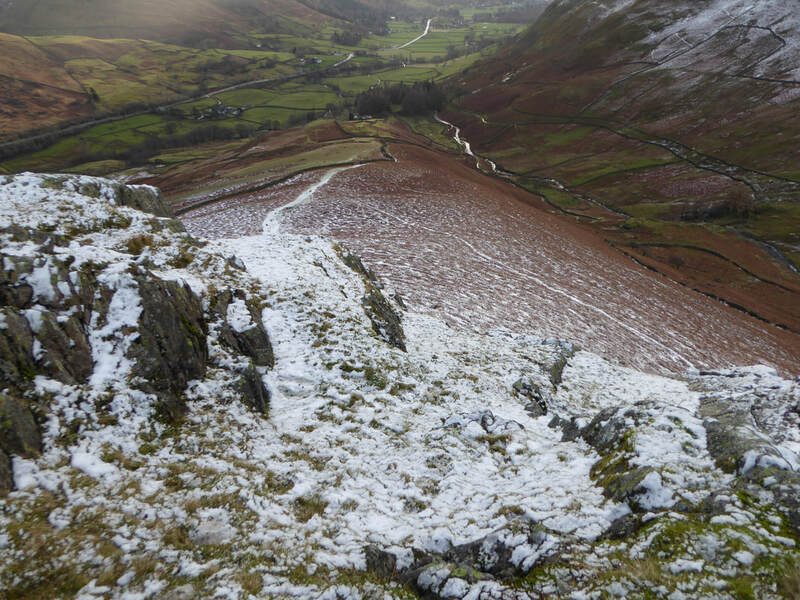 Descending from Gibson Knott's summit to the col at Bracken Hause, it is a steep pull up via a flagged path to reach Helm Crag, the last of today's summits. 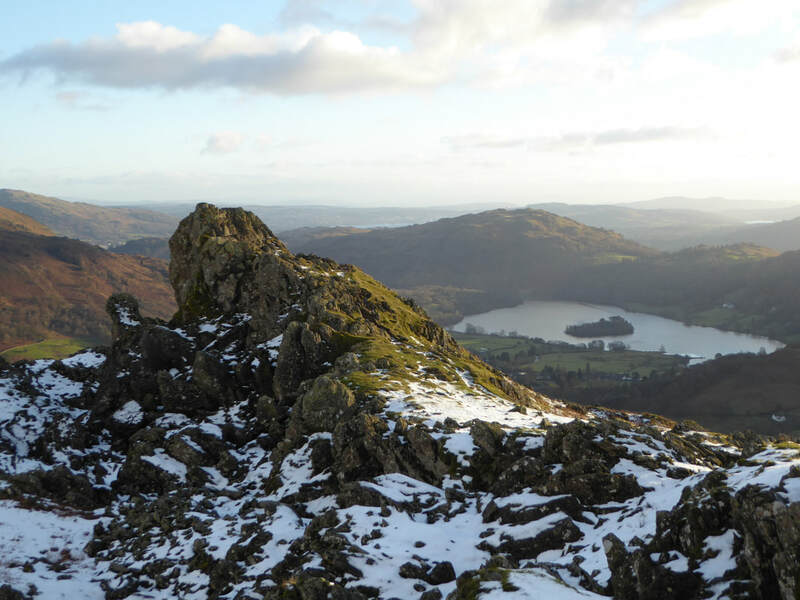 ​At each end of Helm Crag are two rock outcrops that afford the fell its notoriety, however only one can be seen from any point in the valleys below. The outcrop on the north west of the summit is often referred to as "the old lady playing the organ" or "the lion couchant" - the meaning of couchant is an animal lying with the body resting on the legs and the head raised. 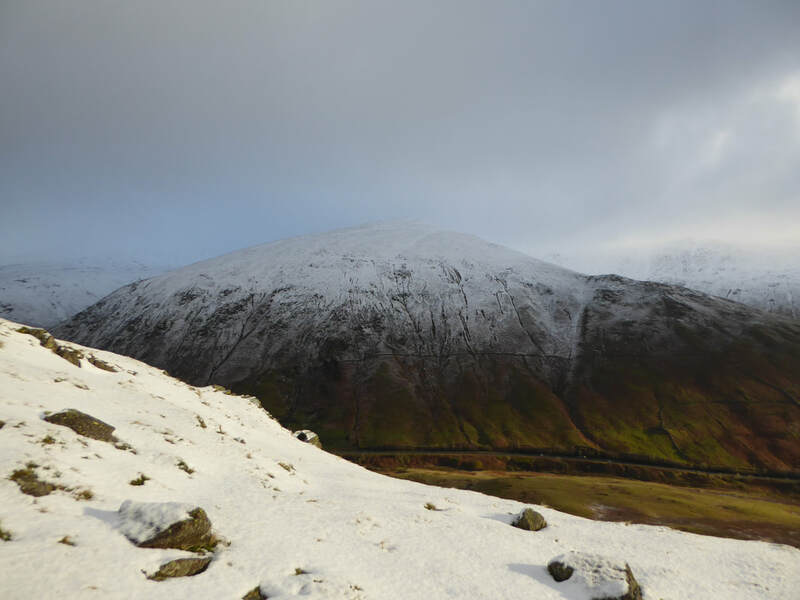 It is perhaps best known as "The Howitzer" for obvious reasons when seen from Dunmail Raise. 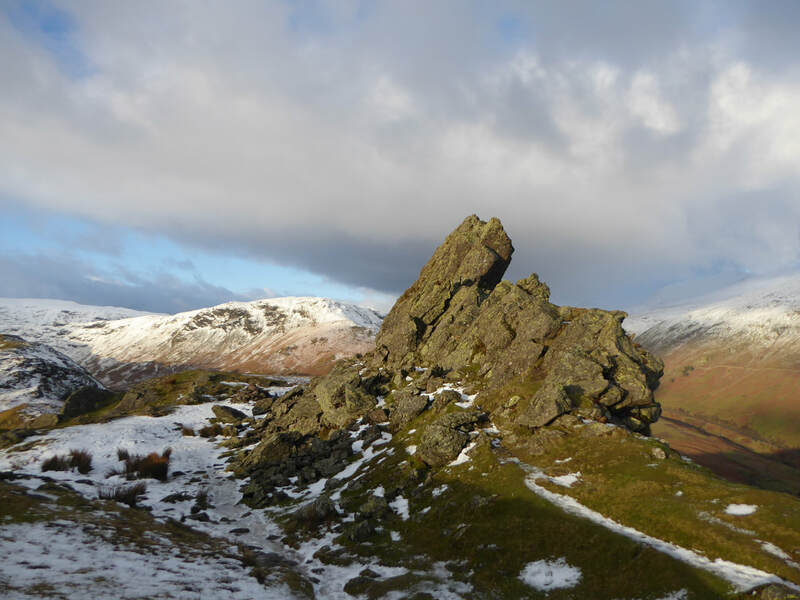 Heading south, the second rocky outcrop is the traditional "Lion & the Lamb" and is particularly prominent as such when viewed from the A591 although it is also evident from the summit itself. Leaving Helm Crag there are still a couple of miles walking back to Grasmere and the descent is quite steep in part therefore needs taking care over, particularly the zig zag path before reaching Lancrigg. 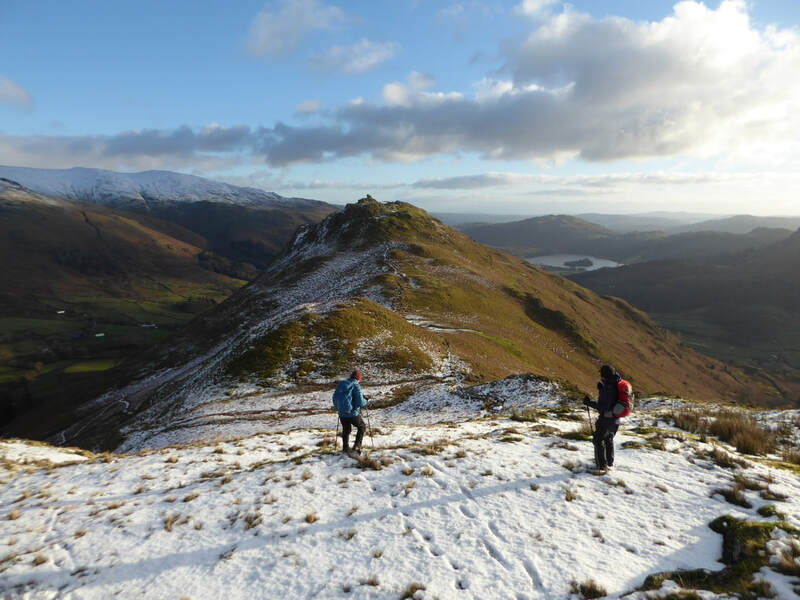 From Lancrigg there is the option to head through Butharlyp How to reach the A591 or to carry on into Grasmere for a post walk pint. 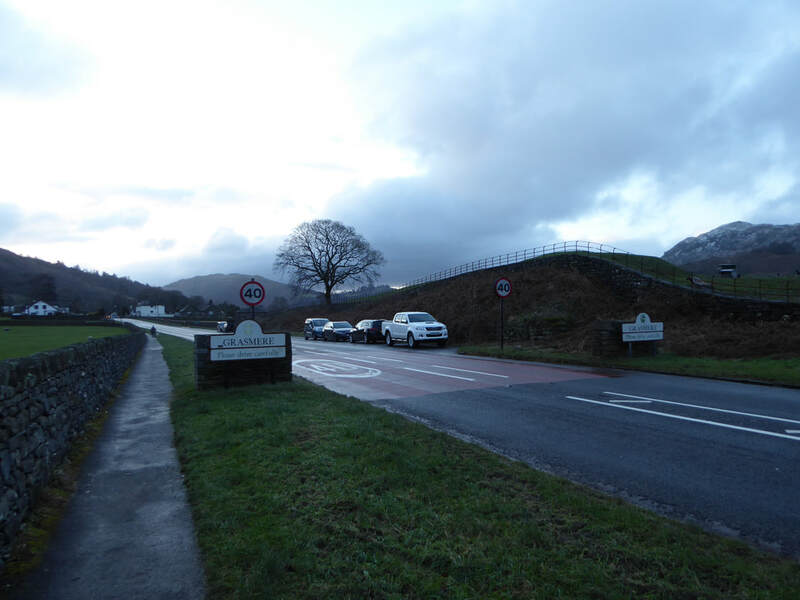 The popular lay by on the A591 - as you enter Grasmere from the north. The weather was a bit gloomy as we departed. 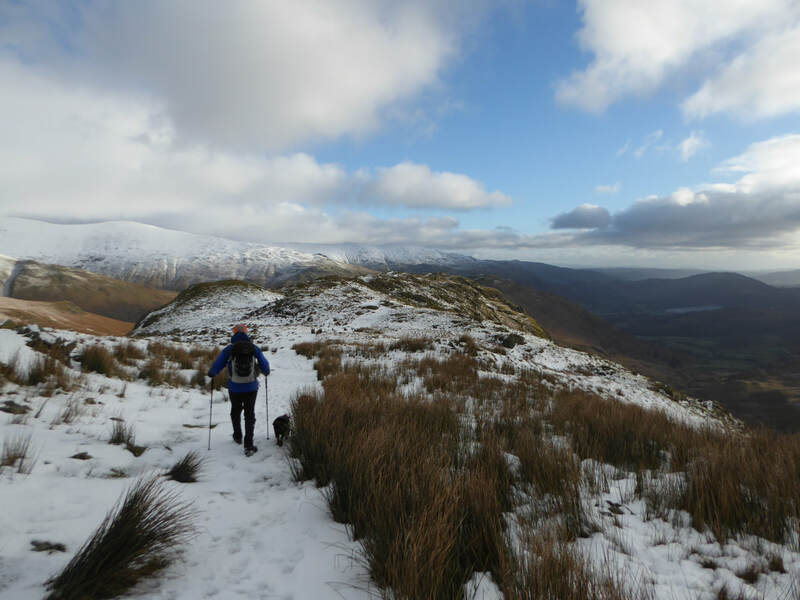 Passing the farms at Ghyll Foot & Helmside, the route enters Greenburn via a gate leading on to open fellside. 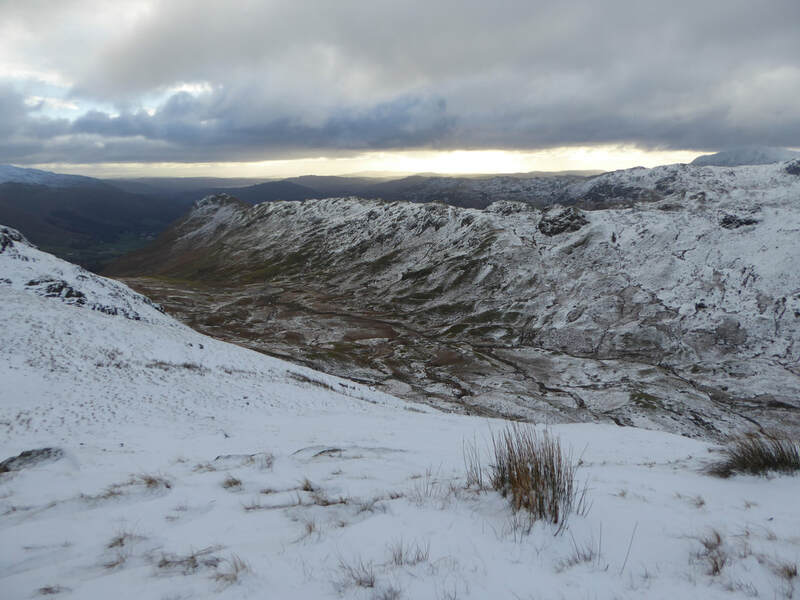 The ridge over the other side of the Greenburn Valley with Helm Crag at the southern end. 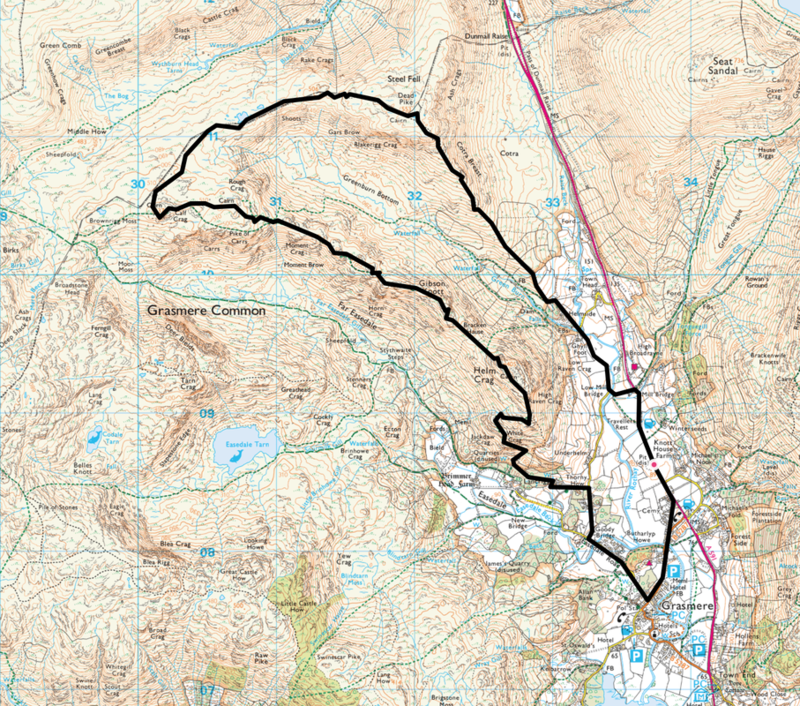 This would be our return route. 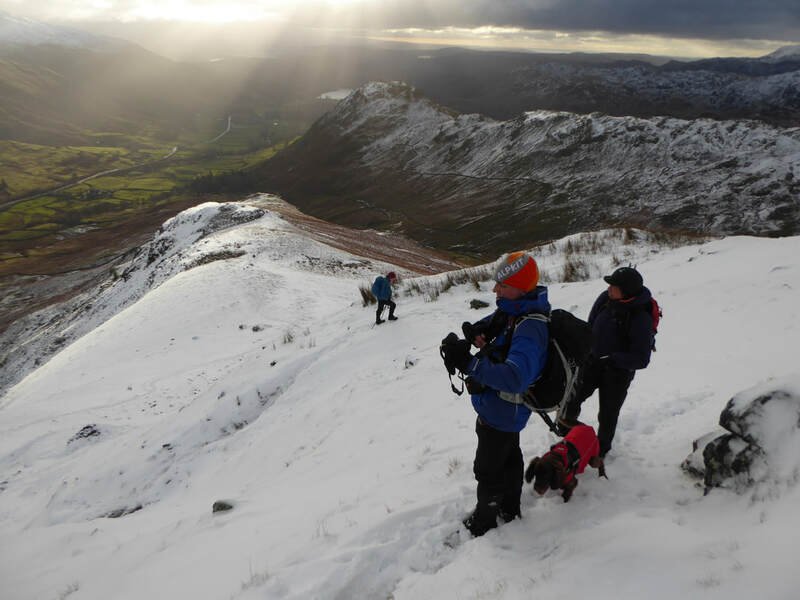 Descending from Gibson Knott into Bracken Hause - Helm Crag is ahead. Wrong way Fudge - we are going straight on then off to the right matey.